As long as SEO is concerned, owning several websites and hosting them on various domains can either be a positive strategy or a really bad one. Majority of the people who use multiple websites for SEO are usually doing so for better business decisions and practices like concentrating on a service or product for a single customer base and differentiating brands into several websites. This can assist the users in locating the perfect content as soon as it is possible. However, the million-dollar question is that whether or not using multiple websites is better or worse for purposes of SEO! Sadly enough, there isn’t any perfect answer to this question as there are benefits and disadvantages of using multiple websites and having a single umbrella website to house all sorts of content. Let’s take a detailed look at the SEO pros and cons of having several websites together. Having more than one website can be advantageous for the users, particularly for those organizations which have several brands of various services and product offerings. In case you have a portfolio of the list of companies which have multiple sites for each one, it makes more sense to separate each domain for the brand or company. On the other hand, breaking individual services for every single company into several domains won’t make much sense. For instance, Shutterfly is one such company which really does a great job with several sites, making each of them perfect for SEO and the users. There are various other benefits of utilizing multiple websites apart from matching the intent of the searcher. There are niche companies which don’t have too much of competition and for them, multiple websites can let you occupy more Google real estate with additional domains which target to similar keywords with different content. For instance, in case you have a portfolio of brands and websites which target the same keyword phrases, but your service offerings are different, this would satisfy searcher intent. Here too, dividing them in different sites makes greater sense than designing an umbrella brand. Although this situation is a bit rare, there are many portfolios which contain different websites like online retailers, have categories or products they are retailing on different sites. In case you decided to consolidate all this content into a single website, the products and categories would lead to issues like copied content or plagiarism. You would require combining those categories and products and this can consume enough time. These are situations when multiple sites can help since you can sell off similar products on several domains. 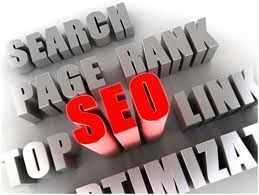 Experts suggest that it takes more than only content and links to rank higher in Google and other search engines. So, when you’re using multiple sites, you even have to brand all the sites, carry on perfect social media strategies and this can get complex with time. You might, in the process, become less effective. The biggest disadvantage of having several sites is that you tend to divide your link authority in between the multiple sites. This can prove to be not so advantageous to websites which are not in a competitive niche. Rather a good tactic would be combining pages so the link authority of both websites could combine. Therefore, now that you know the pros and cons of using multiple sites, you can easily take an informed and measured decision.